Many people having diabetes know that it can be harmful for heart, kidneys, eyes, nerves and also other systems in the body. They seldom think that diabetes also has ill effects on oral health. People suffering from diabetes are at higher risk of oral problems. In this article, we will discuss the dental problems of people suffering from diabetes. The sticky layer that forms on the teeth especially on the gumline is called as plaque. The bacteria in the plaque chemically reacts with the sugar and starch in food that and forms acid. There is greater supply of sugars in people who are suffering from diabetes, thus more acid is formed by the bacteria that cause tooth decay. Gum disease can progress to more severe condition known as periodontal disease (advanced stage of gum disease) in which the gum tissues and the bones that supports the teeth get affected. This can even lead to loss of tooth/teeth. This is more common in people who fail to control diabetes. Diabetic patients have low resistance to infections and healing capacity. There is a decrease in saliva flow in the people who are highly diabetic. This increases the risk of tooth decay and also gum disease. Saliva keeps killing the bacteria that cause tooth decay. Absence of saliva means that you are at high risk of developing cavities and gum infections. This can also affect speaking, chewing and also the ability to taste. A yeast infection often appears in the mouth. Some diabetic conditions like dry mouth, low resistance to infection and high level of glucose in saliva can lead to this condition. Managing diabetes: For managing diabetes, blood sugar levels should be monitored regularly to keep the levels in the safe range. Controlling blood sugar levels means diabetic patients are lower risk of developing teeth and gum problems. Maintaining good oral hygiene: Brushing and flossing regularly is the main part of cleaning process of the teeth. Brushing twice or even thrice a day is advised. Brushing helps in removing plaque – the sticky white film that forms on the teeth. Flossing should be done at least once a day that helps removes tiny left over food particles from between the teeth. The tiny food particles are responsible for plaque build up. Visiting dentist regularly: Dental professionals examine your teeth and review the changes in medication if required. Visiting the dentist regularly will help in detecting dental problems earlier. 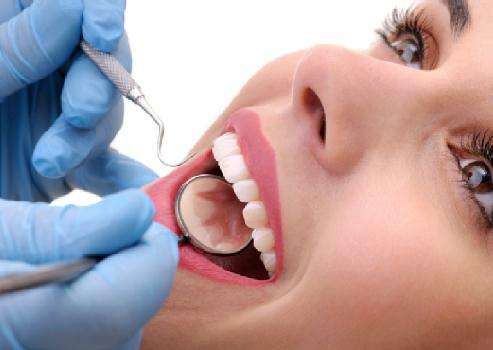 Such issues can be treated with simple dental procedures. Leaving the problem untreated can make the treatment more complex ultimately slow healing in diabetic patients. Looking for early signs of gum diseases: Look for the signs like swelling, redness and bleeding from gums. If any, report to the dentist. Also mention any other signs are shown like loose teeth, dry mouth or mouth pain. Diabetes causes multiple oral heath issues. It is sensible to get checkups periodically.